Rosemary Hannam, Senior Research Associate with the Centre for Health Sector Strategy at Rotman, recently sat down with Angèle Beausoleil, Assistant Professor, Business Design and Innovation. Their talk focused on what Angèle would bring to Rotman’s Global Executive MBA for Healthcare and The Life Sciences (GEMBA-HLS) and what students can expect in the San Francisco module of the program. Rosemary: I understand you’ve recently come to us from the West Coast. 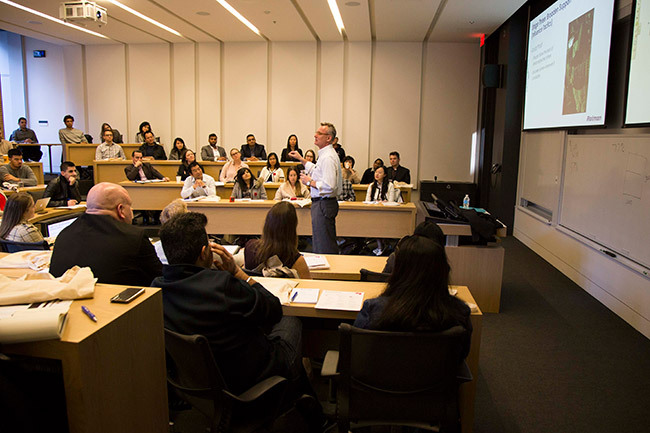 We’re thrilled to welcome you to Rotman, and to the GEMBA-HLS program. Could you give us a quick overview of what you’ll be teaching for us in the program? Angèle: I will be designing and delivering a course that integrates design thinking into healthcare innovation. At Rotman we have pioneered a methodology called Business Design™. Business Design takes our students through a process of understanding and applying human-centred design principles and methods to business innovation activities. The course offers foundational knowledge on the innovation process and weaves practical frameworks and techniques in first need or problem finding, then problem framing and finally problem solving. Rosemary: Your course will be delivered in San Francisco in Module 2, along with our Digital Health course. I understand you’ve spent quite a bit of time there. How will you take advantage of the location? What types of experiences can your students expect to have? Angèle: Yes, I am a recovering entrepreneur and former executive, having worked with many San Francisco-based organizations on educational and technological initiatives over the past 30 years. Following my recently completed PhD from the Sauder School of Business at the University of British Columbia, I was recruited to UC Berkeley Haas to teach an applied innovation and design course for executive MBAs, similar to the course I’ll be teaching in this program. The San Francisco and greater ‘Bay Area’ location is very relevant to this course, as it has evolved into one of the largest design centres in the world where firms are integrating design into technological and social innovations. Agencies, R&D firms and corporations have been able to demonstrate how design is the bridge between research and development, art and engineering, technical performance and human behavior. This intensive business design course for the GEMBA-HLS will integrate course modules with site visits. The course modules offer the building blocks to truly understand the innovation process, and how to apply design principles and techniques to find, frame and solve business challenges relevant to their industry. The site visits offer the student the opportunity to engage with executives from these firms and take a look at how they’re applying design principles in day-to-day practice. This experiential course will have a live healthcare case for the students to apply their learning to – increasing their level of fluency with design. Specifically, the students will apply ‘lean ethnography’ methods, such as observations and interactions in the field, to the live business challenge in an effort to build empathy and discover deep user insights. From the data collected, they will use design-driven data analysis and synthesis techniques to frame the challenge through the lens of the user/patient/stakeholder. From this critical framing phase, the students will then iterate potential solutions based on the key insights and propose one as an innovation. Rosemary: Overall, what is unique about the healthcare and life sciences sector in San Francisco? Angèle: With the advent of successful innovators from the engineering and technology sectors, we are seeing a move toward applying patient and user-centred mindset to healthcare and life sciences. For example, universities, foundations, and governments are applying “design thinking” to their missions. For the past few years, Apple has been aggressively hiring healthcare-related talent. Most recently, they recruited our very own Dr Mike Evans, a physician from St Michael’s Hospital in Toronto and an associate professor of family and community medicine at the University of Toronto. Overall, the Bay Area is one jurisdiction actively integrating design into digital technologies as a way forward to transform their current healthcare systems, and we’ll be taking a first-hand look at how it’s done. Angèle Beausoleil is the assistant professor, teaching stream of Business Design and Innovation at Rotman. She has a PhD in Innovation and Design Pedagogy from the University of British Columbia. She is a visiting lecturer at UC Berkeley Haas, having received a “top teacher award” for her applied innovation MBA courses, and was formerly an adjunct professor at the Sauder School of Business, at the University of British Columbia. She teaches human-centred design for business innovation, design research, creativity and innovation management at Rotman. She leads teaching-related research with organizations in technology, healthcare, consulting and creative sectors in Canada, US and Mexico. Her research is focused on studying teaching and learning methods for design and innovation fluency. Prior to graduate studies, she held executive positions in marketing, strategy and innovation for Canadian, North American and global agencies and corporations. During her 25 years in industry, she garnered over 20 international awards for educational products, service design and digital platforms. She has held board directorships with Telus Health, Interface Health, Vancouver International Film Society and Merging Media. Read more about Rotman’s Global Executive MBA for Healthcare and The Life Sciences. This entry was posted in Global Executive MBA for Healthcare and the Life Sciences and tagged Business Design, Faculty, Healthcare, Innovation, San Francisco on April 24, 2018 by Rotman ME-MBA & MFin. The Rotman Global Executive MBA at the University of Toronto offers exciting opportunities to study in key business hubs of the world. On this 18-month leadership journey, students learn from successful companies, faculty and business leaders around the globe. Recently, a group of senior managers and entrepreneurs embarked on a two-week East Asia module in the modern business hubs of Shanghai and Hong Kong. Vicky Yang, an alumna from the Global Executive MBA program based in Hong Kong invited Rotman Staff and other alumni. Learning about Vicky’s experience during the program and the impact that it had on her career as an entrepreneur was fascinating. She attributed her decision to start her own company to the confidence, learning and experiences she gained during her Global Executive MBA. She keeps a very active and dynamic network that includes U of T alumni, not only from Rotman but from a wide variety of other areas. 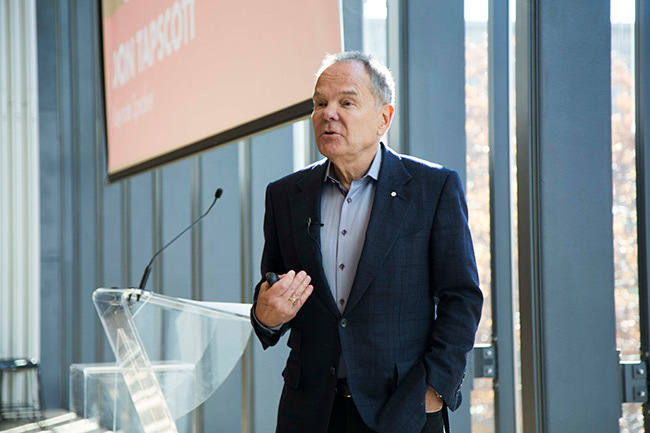 The first course of the module was Strategic Change and Implementation taught by Brian Golden, Vice-Dean, Professional Programs at Rotman, which focused on a case study of GE’s change and growth under Jim Welsh’s leadership. The class also participated in the Capstone course, Applied Innovation, taught by Grayson Bass. After arriving in Hong Kong, the class attended Operations & Corporate Governance taught by Prof. Joe Milner and David Beatty. The content of the courses was further enhanced by five guest speakers who brought to the class a deep understanding of various industries in Asia. Guest speakers included, Craig Smith, President and Managing Director of Marriot for Asia Pacific and an Global Executive MBA alum. To drive home global ways of doing business locally, the program intertwines local visits to dynamic businesses with the course curriculum. The first site visit of the module was hosted by URWORK, a co-working space in China. URWORK is an innovation hub that hosts start-ups and offers services in a wide variety of areas including HR, legal and finance. The class experienced the new and proliferating business of shared work space in China. The class also visited MRD Dingshi Group in Shanghai, which is an integrated professional design company specializing in architectural design. The class had the opportunity to hear from and ask questions to Mr. Wu, Chairman of MRD Dingshi Group, who also shared his deep understanding of the development of commercial real estate in China. After arriving in Hong Kong, the group visited ScotiaBank to learn about its 30 years’ of experience in China. The visit featured executives from the bank who talked about their respective units and the opportunities and challenges in the region. The final visit for the module was to the Hong Kong Stock Exchange, one of the largest financial market operators in the world. Students had the opportunity to further their knowledge of trading in Hong Kong through this visit. Every module hosts a Speaker Series & Networking event, this time Egidio Zarrella, Clients and Innovation Partner at KPMG China addressed the audience with an interactive talk about the economy in China and Hong Kong, the challenges that Hong Kong faces with the rapid digitalization of the financial market and the growth China continues to experience. The focus on innovation and the interactive nature of the talk allowed for lively participation by students and guests alike. After the talk, the networking portion of the event allowed students to grow their network by making new connections. The Global Executive MBA program at the University of Toronto is an expansive leadership journey that will transform the way you think about your career on the global stage. In addition to learning from East Asia, the program will take you to key business hubs in the Americas, Europe, South Asia, the Middle East and Africa. Want to learn more? Connect with us or visit our website to learn more. This entry was posted in Beyond the Classroom, Careers, Global Executive MBA, Student Life and tagged Entrepreneurship, Innovation on July 11, 2017 by Rotman ME-MBA & MFin. Stephanie Grimbly is a current Rotman Morning MBA student. In this 2-part blog series, she shares her experiences in the Business Design Accelerator Series at Rotman. After many months contemplating exactly what it was that I was looking for in an MBA program I had an “ah-ha” moment when I discovered Rotman’s Business Design major. The concept of Business Design checked a lot of boxes for me in terms of the kind of work I wanted to get involved in – creative problem solving of complex issues – and therefore the kind of knowledge and skills I wanted to bone-up on via an MBA. I already knew I enjoyed the process of brainstorming and “ideation”. Now two semesters into the program, I’m very pleased to report that my expectations of what the Rotman Morning MBA program would offer have been exceeded. My favorite aspect of the program is The Business Design Accelerator Series offered by Rotman’s DesignWorks. Designed for, and offered to MBA candidates who work full-time, the Business Design Accelerator Series is exactly the kind of extra-curricular opportunity an MBA student hopes to take advantage of while in school. This six-part series is a step-by-step introduction to Business Design principles and tools (quite literally the building blocks of the problem-solving framework I was looking for!) The idea behind the series is that participants walk away with a better understanding of what Business Design is, and the value it can offer any professional looking to get creative and innovate at work. The absolute best part of this series is that, as working professionals, participants can immediately apply some of these principles and tools to the work they do today. One of the primary reasons I decided to do a part-time MBA instead of full-time was I valued the opportunity to immediately apply what I was learning at school in my full-time job. And this is exactly my intention for the strategies, exercises and protocols introduced during the Accelerator Series – to apply them in my current job! Regardless of role, responsibilities or industry, Business Design Theory is inherently valuable to the individuals and teams who leverage it because it is a multi-dimensional problem solving methodology. When the problem is too complex, unprecedented or is actually the amalgamation of many smaller, intertwined issues, the most prudent approach to tackling that problem is not with broad strokes in management style, organizational structure, financial finessing or economic intervention – at least not right away. Instead, it begins with a thorough investigation into the factors that make up the problem, a systematic breakdown of primary factors into the human needs and emotions that perpetuate them followed by rapid iteration of many possible resolutions and, finally, a critical evaluation of each prototype to assess its viability. The bottom line is that complex, unprecedented problems demand intricate investigation, creative consideration and deliberate solutions. Stay tuned for part two of Stephanie’s blog posts on the Rotman DesignWorks Business Design Accelerator Series. 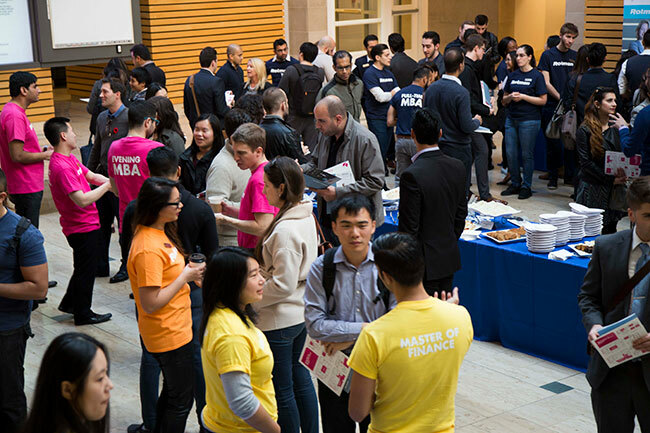 Interested in exploring the Morning MBA at Rotman? Contact us to learn more! This entry was posted in Morning & Evening MBA, Morning MBA and tagged Business Design, Business Design Accelerator Series, Current Students, Innovation, Part-Time MBA, Women, Working Professionals on May 11, 2017 by Eva. How can we redesign, and improve, Canadian healthcare? Without question, in our current environment of changing demographics and population demands, every healthcare system on the planet has room for improvement. At the Rotman School, we are aware of the important challenges and questions faced by healthcare professionals and managers worldwide. With a view to making meaningful impact on the industry, our Major in Health Sector Management is designed to help tackle these issues and work towards creating world class healthcare systems. Through this major you can study important topics such as: the commercialization of life-science products, the role of the private sector in the industry and performance management, governance and control. You’ll also be able to learn about such areas as Health Sector Strategy and Organization, Pharmaceutical Strategy and Healthcare Consulting. Whether you are a physician looking to refine your management skills or a healthcare administrator looking to gain specialized knowledge in your field, this may be a great option for you. Jia Inacio (Evening MBA 2017) and Rishie Seth (Evening MBA 2017) are both healthcare practitioners benefiting from Rotman’s close research ties to the health sector. 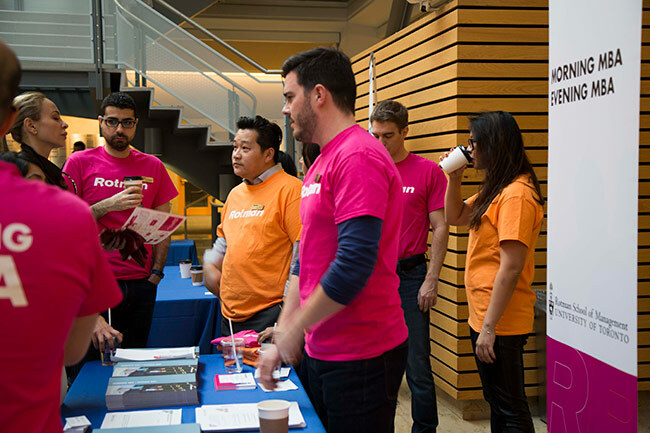 With Rotman’s Morning or Evening MBA programs, working professionals have the option to accelerate their careers and work on their MBA at the same time. Jia works at Princess Margaret Cancer Centre and Rishie is a physician at St Joseph’s hospital; both students agree that this program will help them make an impact on the future of their organization and the healthcare system in Ontario. Wondering about the actual classroom experience? We have the perfect opportunity for you to sample an MBA class on May 31, 2016. We invite to attend and meet us at our sample class Aligning the Stars: Using Systems Thinking to (Re)Design Canadian Healthcare. This sample class will open your eyes to different ways of thinking about a management problems and will point you to system thinking as a tool to redesign healthcare systems and healthcare organizations. You will learn from none other than Professor Brian Golden, Vice-Dean, Professional Programs and the Sandra Rotman Chaired Professor in Health Sector Strategy at the Rotman School of Management, The University of Toronto, and The University Health Network. The sample class is based on his research with the Veterans Administration’s Health System in the U-S. – a publicly funded health system remarkably similar to those in Canada. Professor Golden will reveal the levers that leaders of health systems and healthcare organizations can use to move from woefully under-performing to world class. If you are a healthcare professional interested in expanding and deepening your knowledge of the health sector and tackling common management challenges, or you are interested in growing your strategic thinking, we would love to meet you at this sample class! Register to Aligning the Stars, and we look forward to seeing you on May 31. Do you have any questions? Contact us or leave us a note below! This entry was posted in Careers, Morning & Evening MBA and tagged Brian Golden, Canadian Healthcare, Current Students, Health Sector, Health Sector Management Major, Healthcare, Innovation, Morning & Evening MBA, Part-Time MBA, Sample Class, System Thinking, Working Professionals on May 2, 2016 by Rotman ME-MBA & MFin.